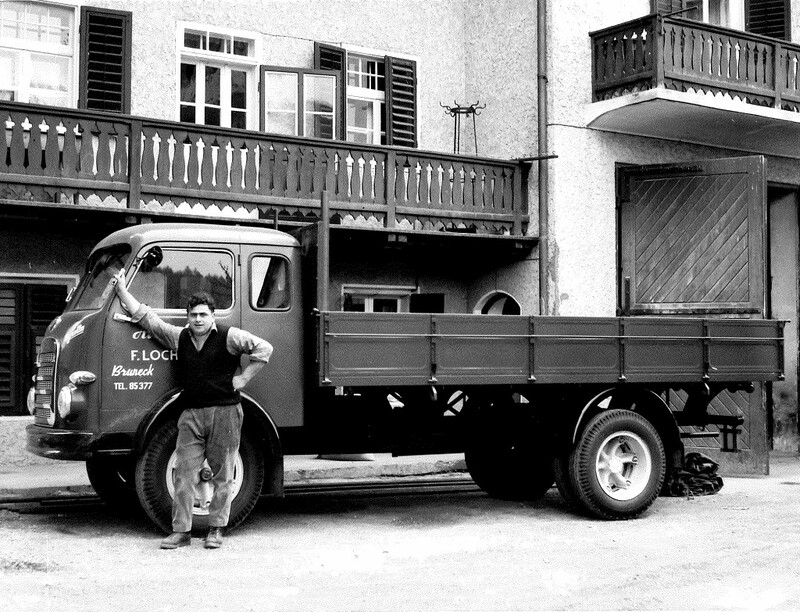 It was the beginning of July, forty years ago, when a young man from Nals took his knapsack, left home and landed in Bruneck where the transport company Hans Pezzei had been put up for sale. Franz Lochmann, who always had a passion for cars, with which he played as a child, often spent hours watching the traffic flowing under his window observing the drivers and how they turned that massive steering wheel, which at the time was not much smaller than a metal barrel hoop. Then all of a sudden, he got the unexpected chance to realise his childhood dream. Hans Pezzei was very impressed with the sparkling energy of the boy from Nals, but had to immediately admit that he also was a very tough negotiating partner. They bargained for each single screwdriver, until they finally reached a purchase agreement. Franz Lochmann was a clever boy. He knew that he would need friends to act as a guide in Bruneck should he really want to be successful in doing business. His open and uncomplicated way of dealing with others was very helpful to him in this sense. The young entrepreneur did not take long to get a foothold in the market. He was able to sell his services on the route between Brunek-Bozen with no problems. Whilst daily he sat in his office, which was of course behind the steering wheel of his heavy vehicle, his wife Anna took care of the administrative side of the job. Lochmann was very aware that on the road anything could happen, but he never thought that he would ever be the victim of an accident. Maybe this certainty was the cause that led him to such a nasty awakening, when one day he found himself floundering amongst a sea of packages spread out all around his truck, which was laying on its back with its wheels spinning in the air just like the legs of a centipede. One foul blow and the earnings of many day’s work had gone, but he did not let this discourage him. Instead, he started working even harder, diligently and industriously identifying and raking in every single opportunity. His conscientious work was very much appreciated by his customers. His circle of clients was ever increasing, so much so that Lochmann had to gradually increase his fleet. Today he owns ten of these road cruisers and employs 13 people. Meanwhile his daughter Evi and one of his sons, Paul, have joined him in the company. Years ago he gave up the daily parcel service between Bruneck to Bolzano so to solely dedicate himself to national and international transports. 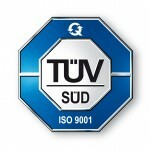 The company, previously known under the name Auto Gader, is now called Lochmann KG/Srl and its headquarters are in the Toblstraße, in Bruneck.